Officials have identified the engineering professor as William Klug. A professor was the victim in a murder-suicide on UCLA's campus Wednesday, and the shooter was believed to be the teacher's student, law enforcement sources said. The incident sparked a campus lockdown and fears of an active shooter. At a press conference Wednesday afternoon, Los Angeles Police Department chief Charlie Beck said a gun was found. He also said what might be a suicide note was found. The professor was identified as William Klug, according to two law enforcement officials, who believe Klug was the shooter's teacher. Klug was a professor of mechanical and aerospace engineering, according to his biographical page on the UCLA Henry Samueli School of Engineering and Applied Science's website. Klug was also a married father of one daughter and one son, who coached soccer and Little League Baseball, according to ABC-owned KABC in Los Angeles. California Lt. Gov. Gavin Newsom tweeted Wednesday afternoon, "My heart breaks for UCLA and for the families and loved ones involved in this tragedy. #uclashooting." Newsom then followed up by tweeting a photo of Klug. 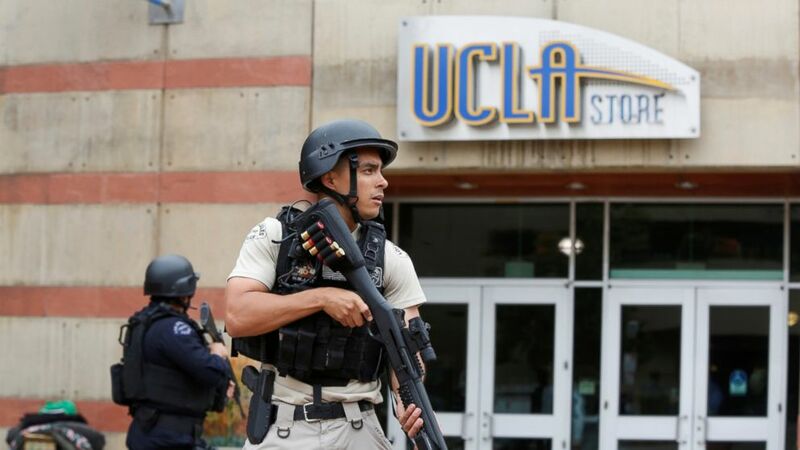 (Patrick T. Fallon/Reuters) A Los Angeles Metro Police officer stands watch on the University of California, Los Angeles campus after it was placed on lockdown following reports of a shooter in Los Angeles, June 1, 2016. The investigation into the shooting was focused on the school's Boelter Hall, which is part of its engineering school. Earlier in the day, the school sent out an alert on its Twitter account and issued a campus-wide lockdown. @newt_ripley Good thinking. Scary you have to do the thinking though. Stay safe. Teams from the FBI and the Bureau of Alcohol, Tobacco, Firearms and Explosives responded to the scene in addition to the LAPD. 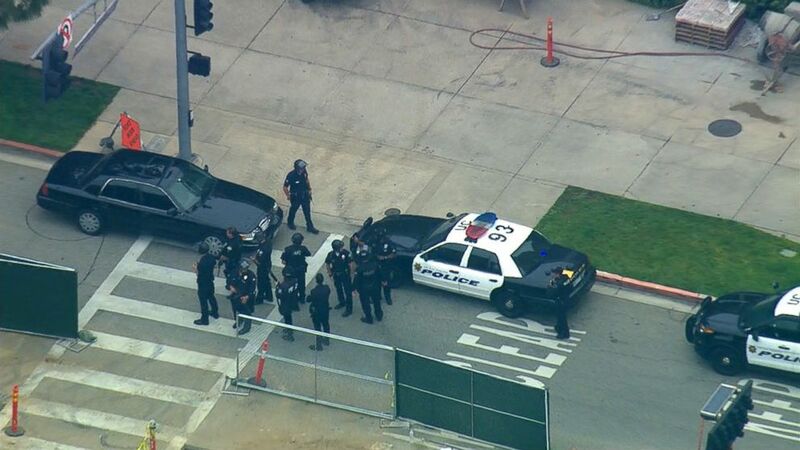 (KABC) Police respond to an active shooter on the UCLA campus, June 1, 2016. UCLA did not immediately respond to a request for comment.